Around a dozen Christian youths were arrested and tortured and their houses searched by their Muslim neighbours in the presence of police officers to arrest a young Christian man, Zohaib alias Noami, (20), the son of Pervez Rahi, who was in love with a Muslim girl, Anum, (18), the daughter of Muhammad Abid. Noami and Anum ran away together on the night of November 20 to marry in another city. After the incident a reign of terror was spread though the Christian community living in Baldia town and Saeedabad, Karachi, the capital of Sindh province. Majlis-e-Ahrar Pakistan and Jamaat-e-Islami have issued an “apostasy” decree against the bold Governor of Punjab, Salman Taseer, who dared to question the blasphemy law. 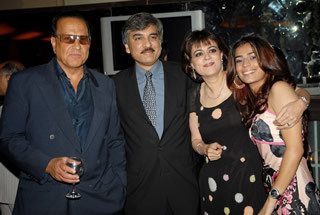 Salman Taseer is in good company. The same parties abused – it does not need reminding- Mahomed Ali Jinnah, the founder of this nation and called him “Kafir-e-Azam”. Maulana Mazhar Ali Azhar wrote those famous lines “Ik kafira kay peechay Islam ko chora, yeh Quaid-e-Azam hai yaa kafir-e-Azam”. LAHORE: Religious parties’ agitation against government’s efforts to release blasphemy convict Asia Masih to send her to the US and to amend blasphemy law gained momentum on Wednesday, while a party also issued an apostasy decree against Governor Salman Taseer.